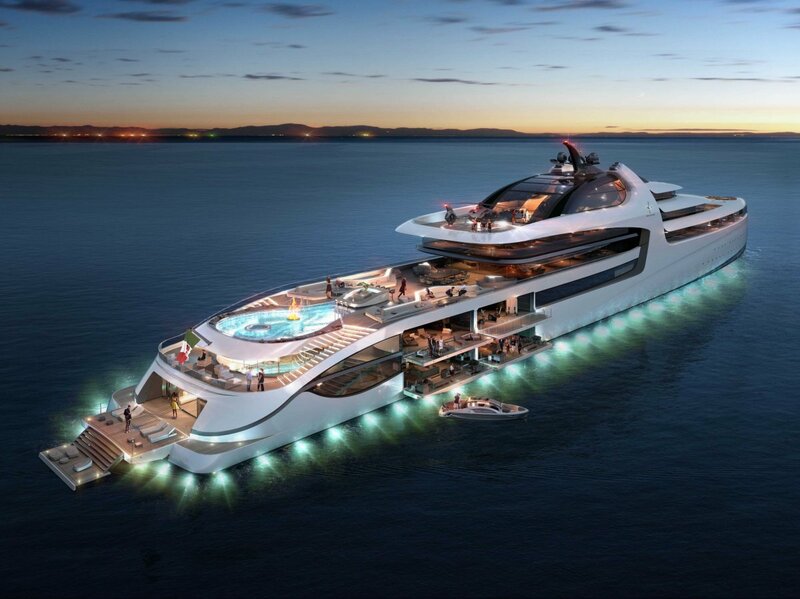 How much would you be willing to pay for a Mega Yacht? 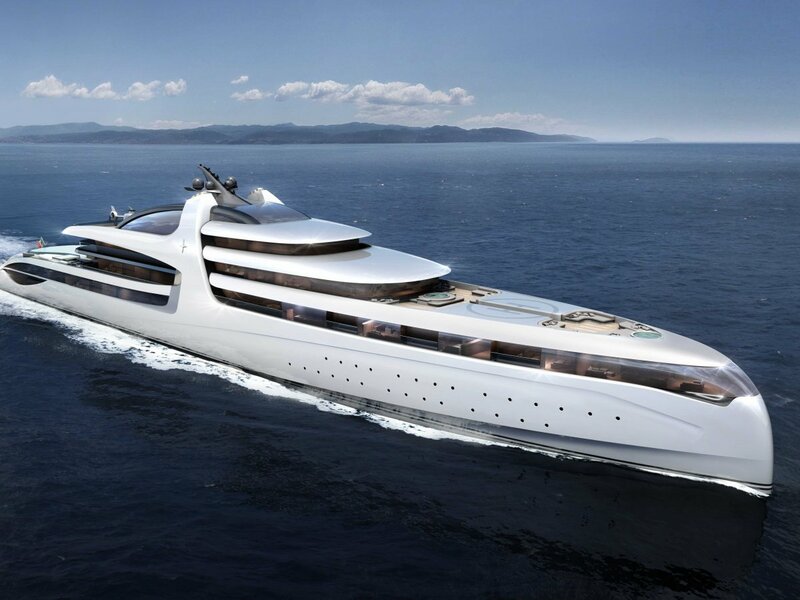 Take a look at what could be the world’s most expensive Mega Yacht, The Admiral X Force 145. 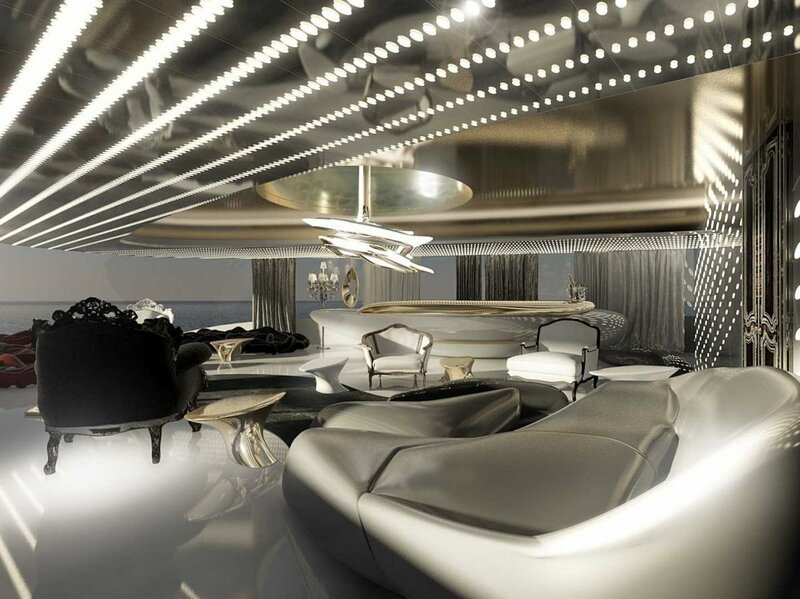 This 465-foot vessel brings luxury to eye-popping new heights! 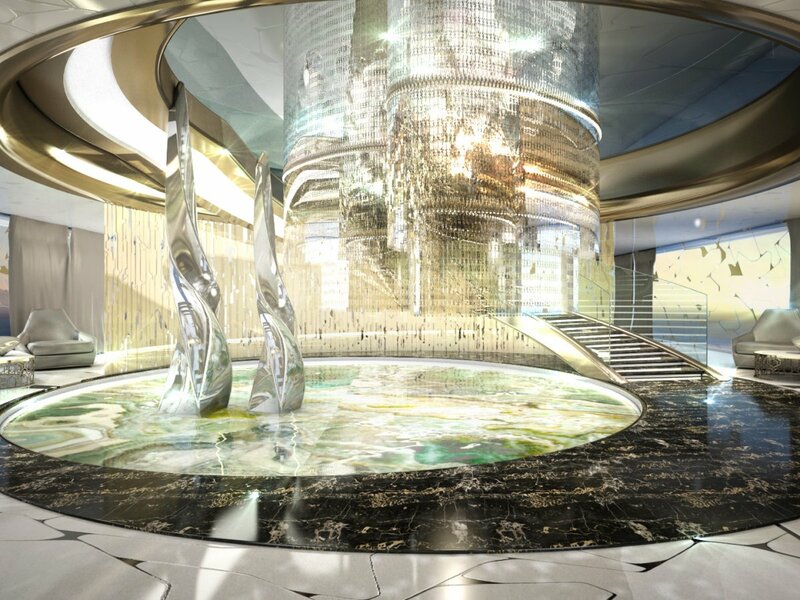 The mega-yacht is yet to be built, but will be huge, with lavish interiors expressed with crystal chandeliers and solid marble flooring. 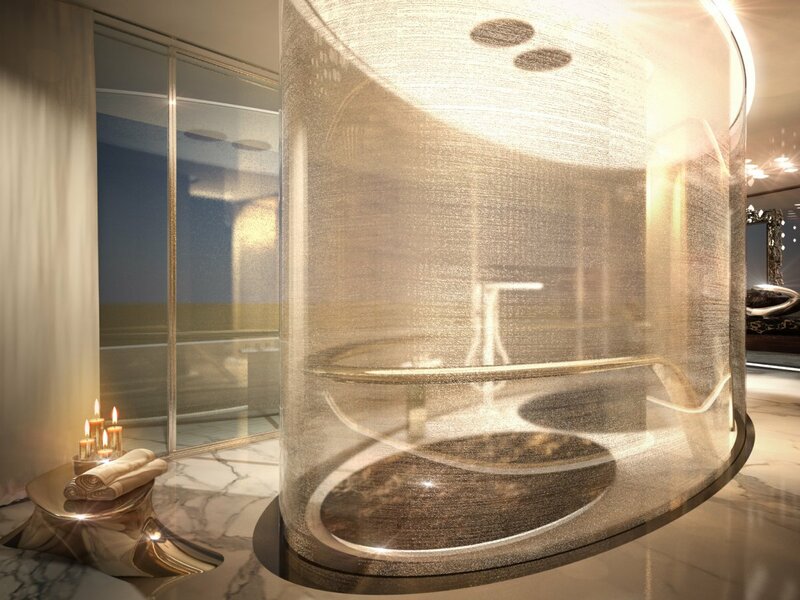 It will spare short of no amenities, with two pools, two movie theaters, two helipads, a garage, multiple gym facilities, and a bi-level pool area just to touch on some (but not all) of the features. Even though the price is only available on request, it will come well over $1 billion! 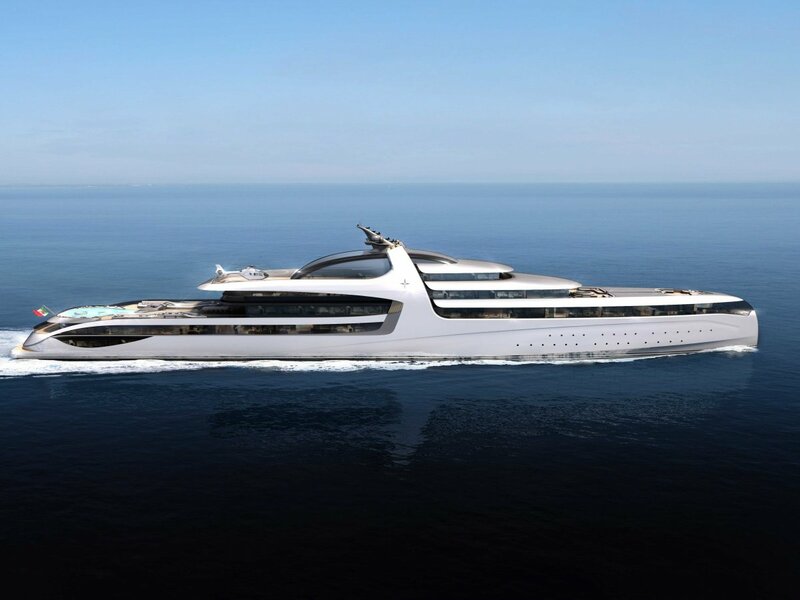 This would make it the world’s most expensive yacht if it gets built before spring 2018, when the 4Yacht’s Tripple Deuce – 722-foot leviathan, is set to be completed. 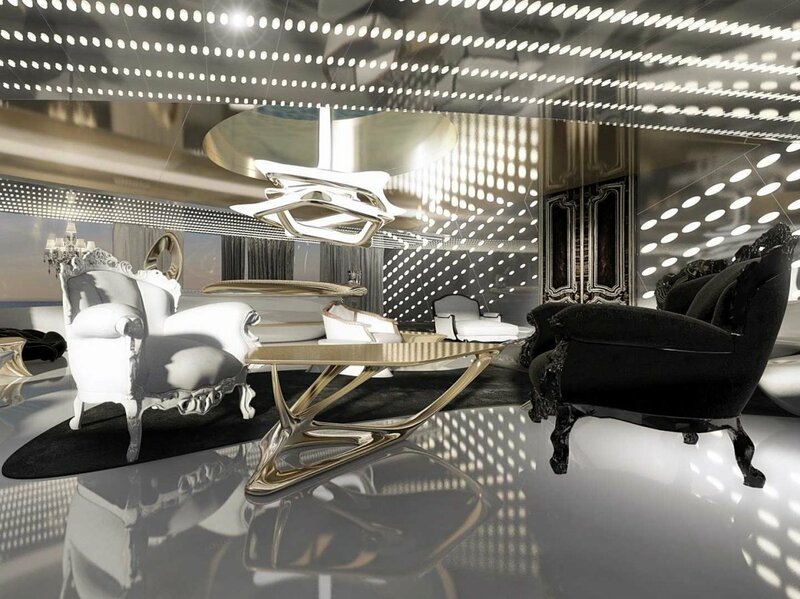 The Italian Sea Group project was dreamed up by Dobroserdov Design in a partnership with Admiral Centro Stile. 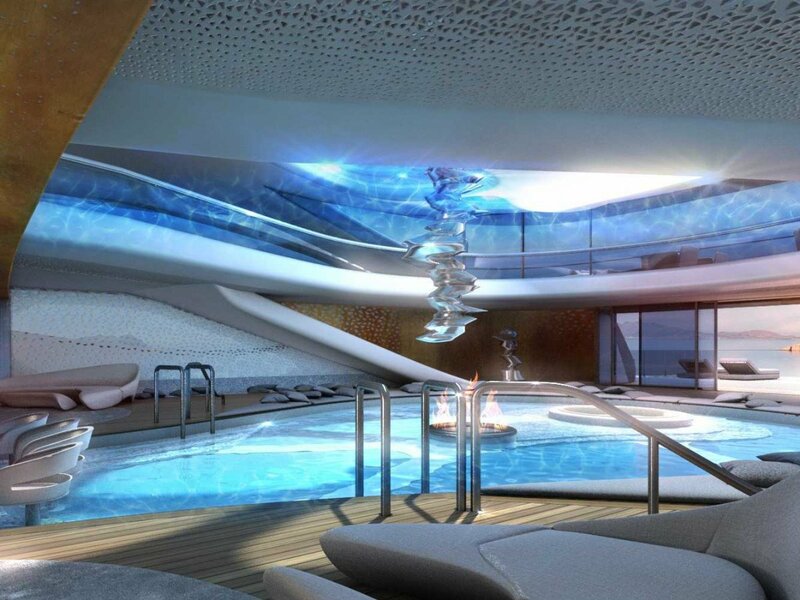 They provided artist renderings of what the ship is expected to look like when completed. 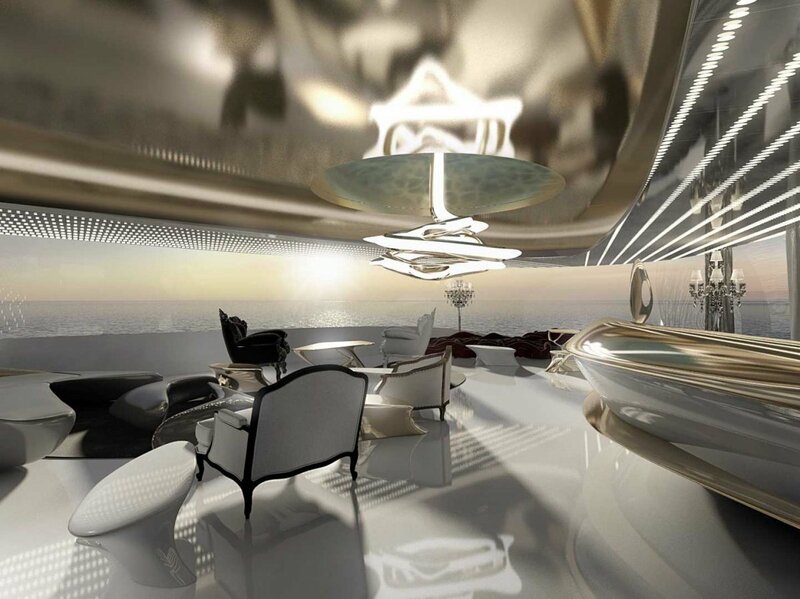 It doesn’t get much more luxurious than this! The X Force is loner than two jumbo jets or one-and-a-half football fields. 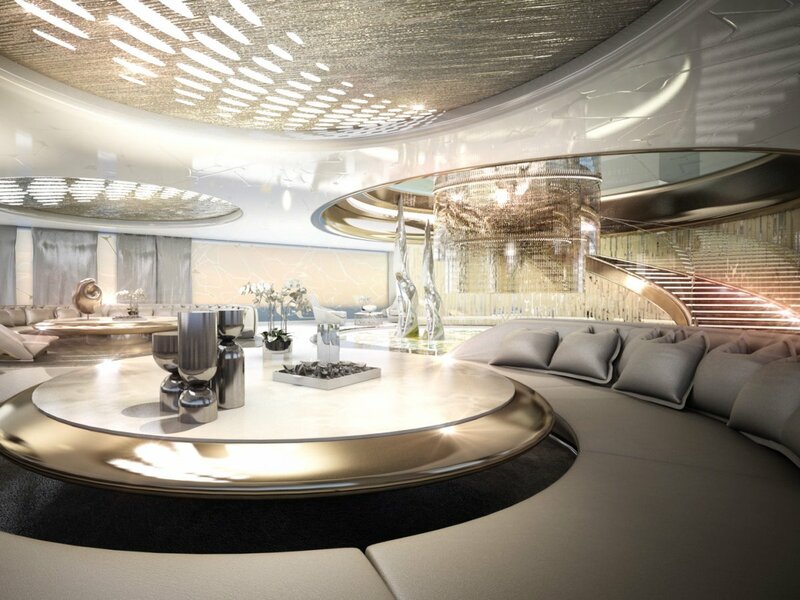 Inside the yacht, is packed with extravagant details. 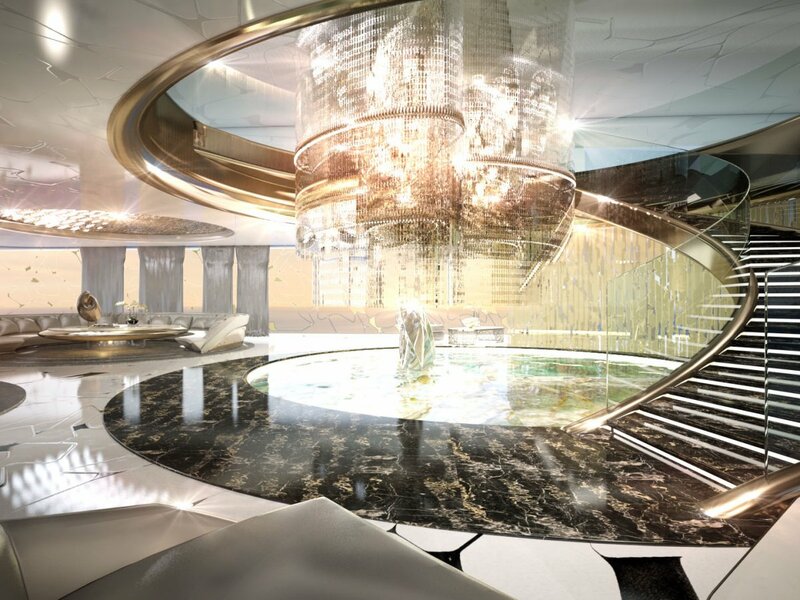 It has a huge main salon area with a huge chandelier as its centerpiece, surrounded by a circular staircase. 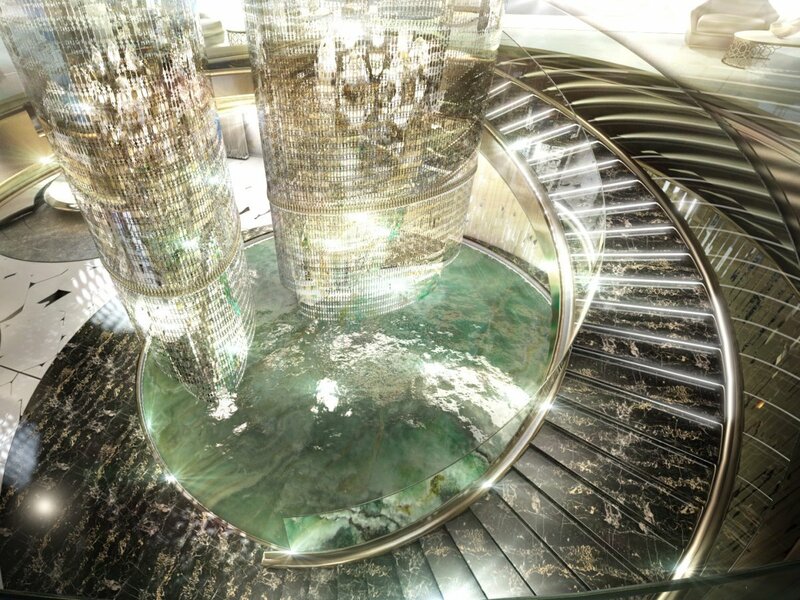 The glittering fixture hangs over an indoor pond accented by glass sculptures. 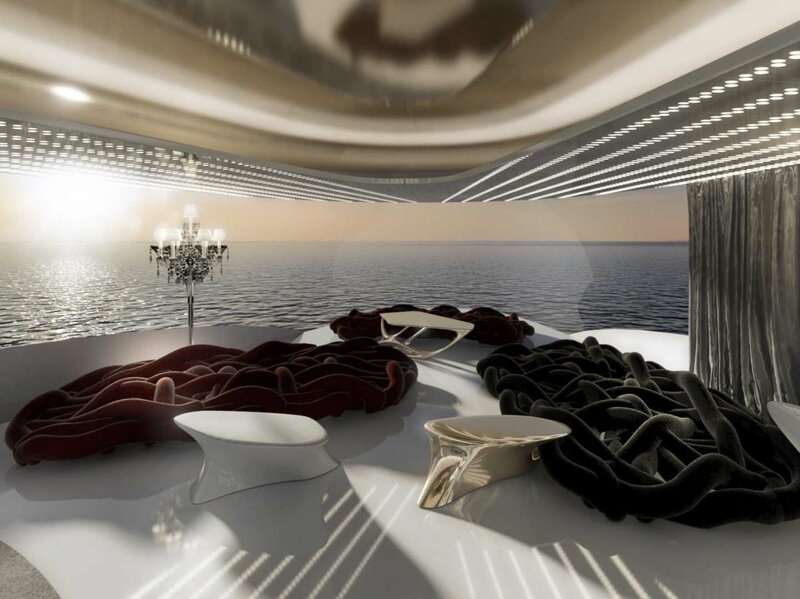 Surrounding the water feature is a sitting area for all the guests you could possibly bring aboard. 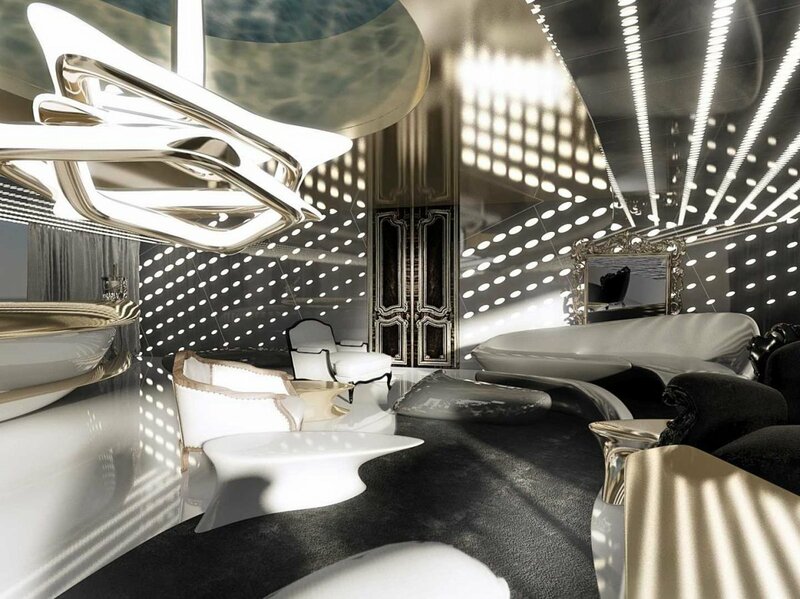 Toward the front of the boat, the master bedroom is a sight to behold in which the whole half deck is reserved for the owner. 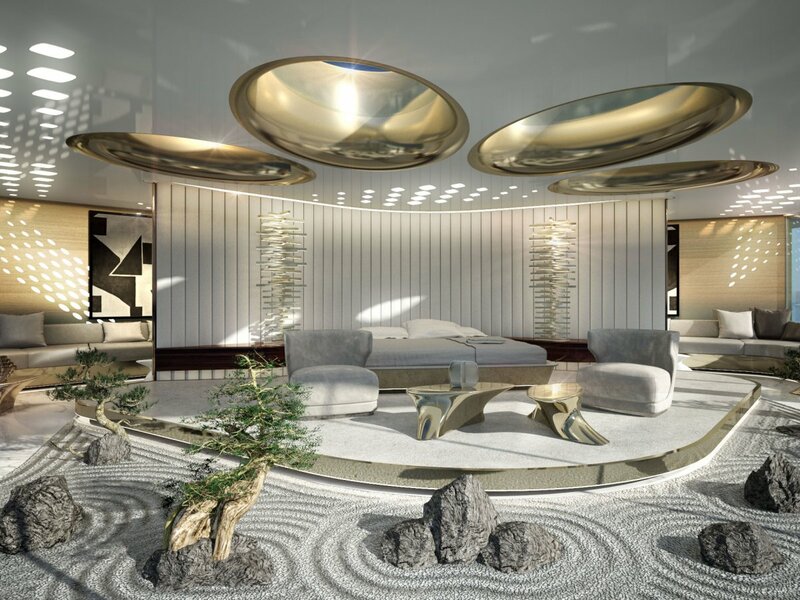 The suite is a place of utmost tranquility, surrounded by a Zen garden. 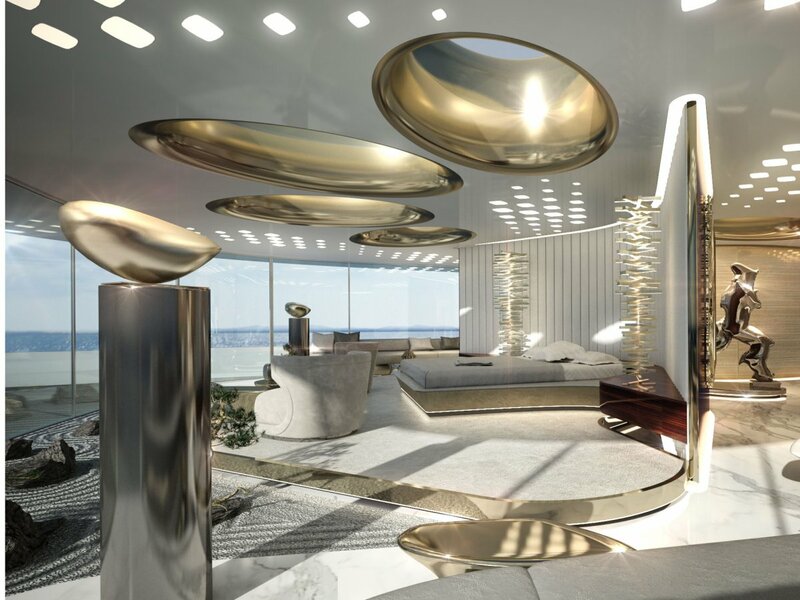 Aside for floor-to-ceiling windows, there are three skylights that let in tons of sunlight. 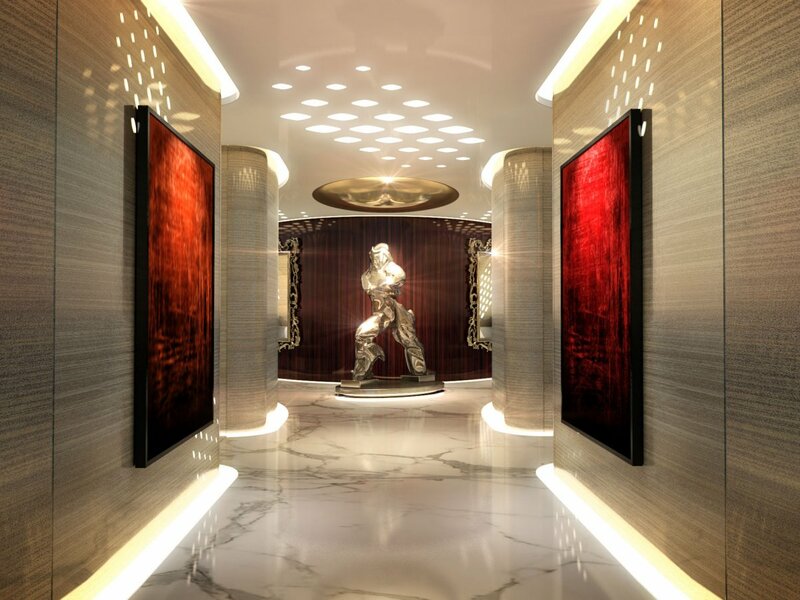 The solid marble floors, and hallways are as grand as a 5-star hotel. The guest rooms are short of disappointing, smaller than the master room – but not by much! 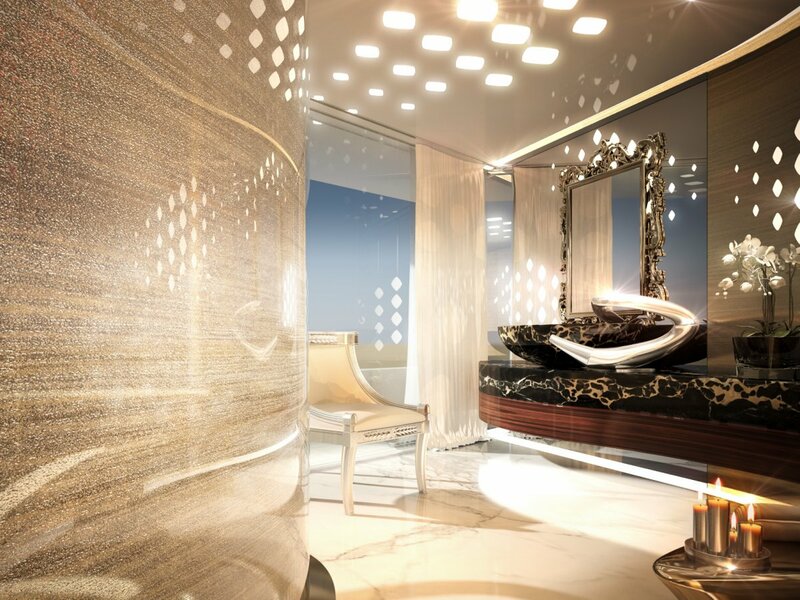 Guest bedrooms also have sitting areas that open up to their own in-suite balcony. 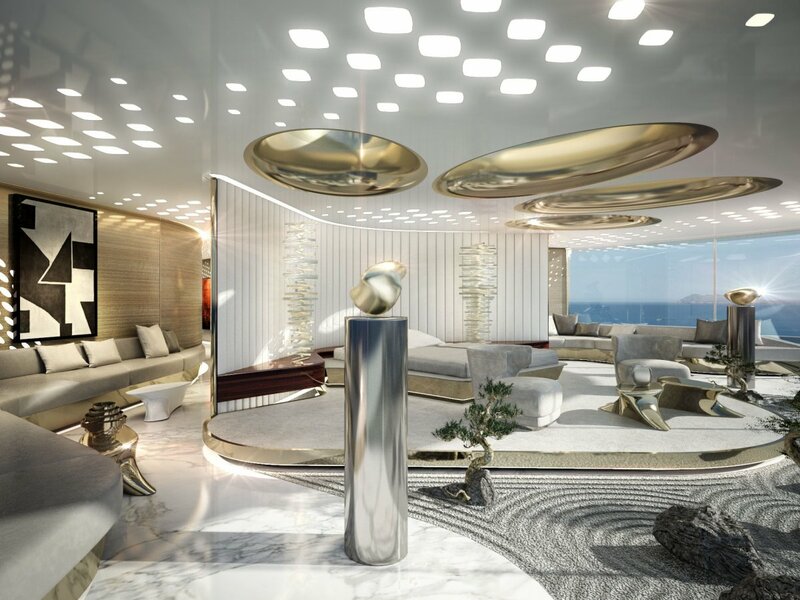 Other lounge areas dot the boat, some of which feature open-air balconies. Not a single corner was cut in the design of the bathrooms, which are all outfitted with gorgeous baths and marble touches. 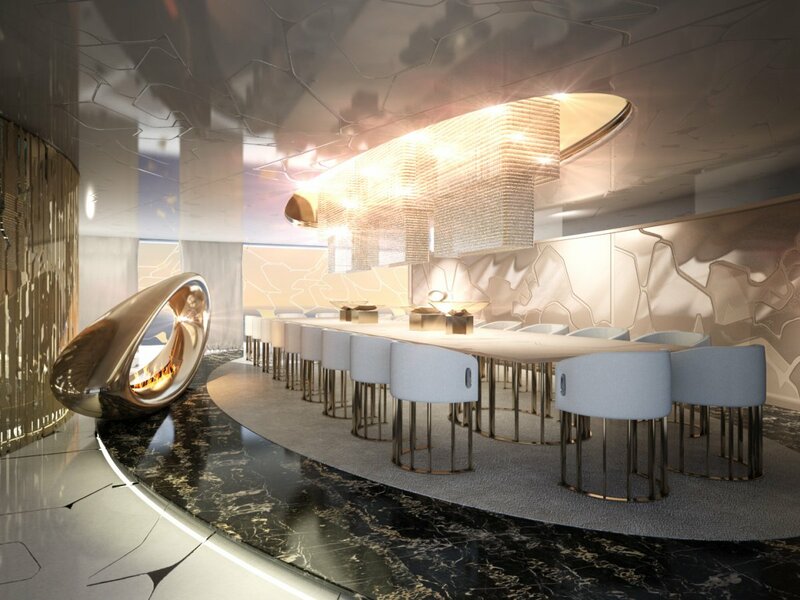 There is a full dining room that sits on one of the lower decks, a bi-level spa and bar complete for a total party room, another pool on the top deck, and a 360-degree ring of lights that illuminate the yacht’s perimeter at night.